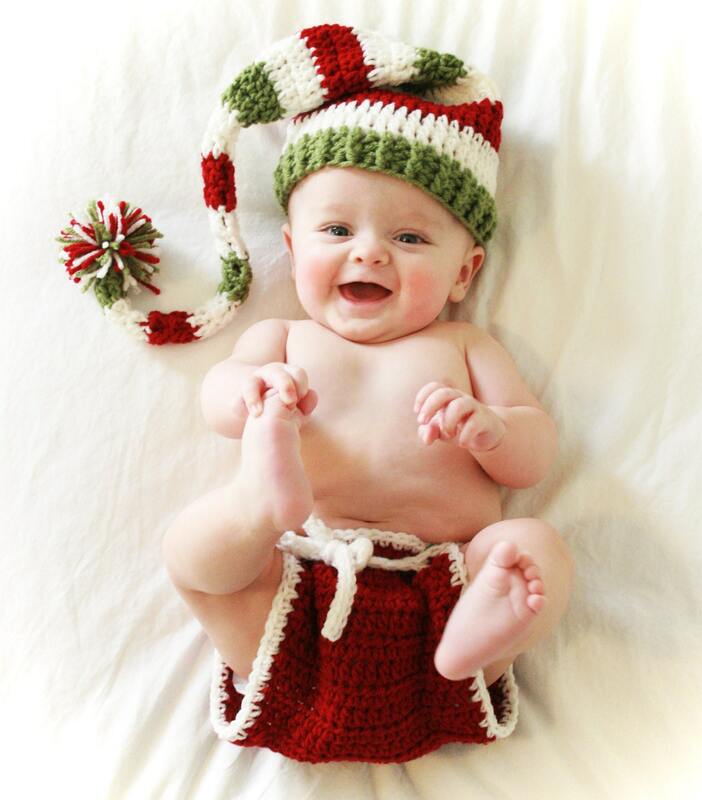 This elf hat, diaper cover and leg warmers are a great photo prop and look adorable on any baby. Each hat has a pom securely sewn on the end of the tail. 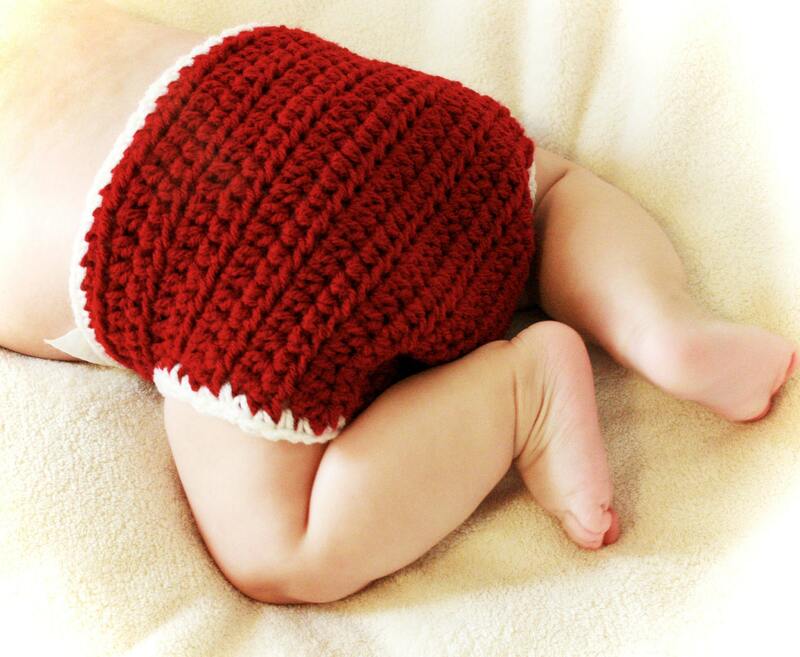 The legwarmers are available in newborn to Toddler lenghts. 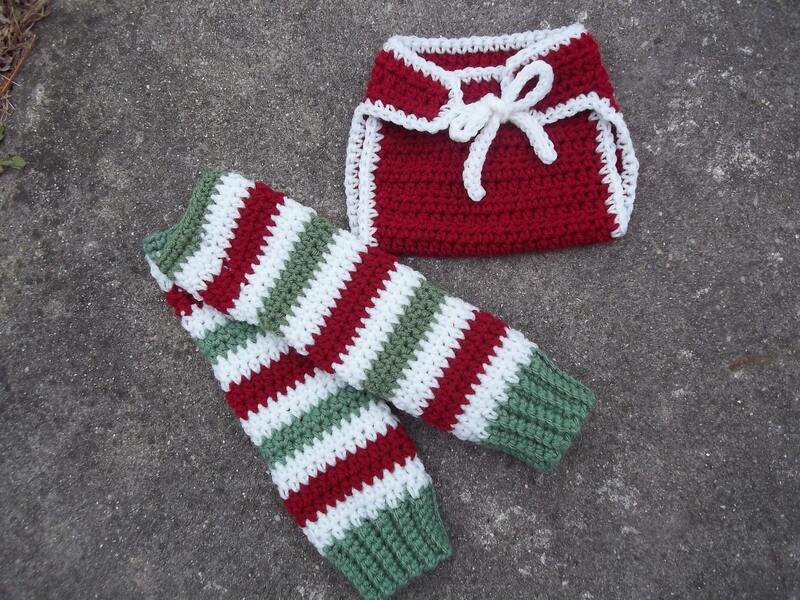 This listing is for any size from Newborn to Toddler. Please specify which sizes you would like from the list below. This hat is made from 100% acrylic yarn. Hand wash only. Lay flat to dry. 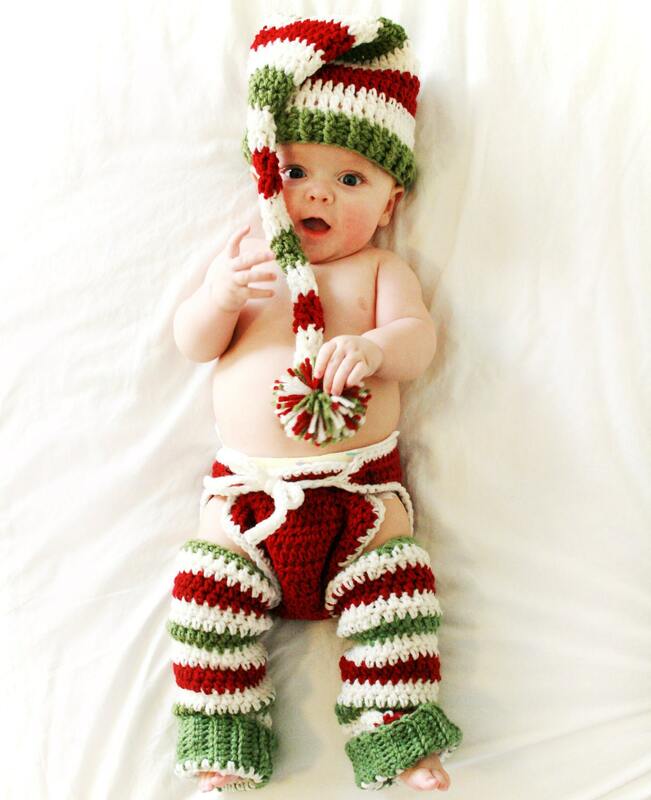 Thank you to my wonderful customer Kelly "kmcwhertor" for sharing this fantastic picture of her son in his elf hat, diaper cover and leg warmers!! 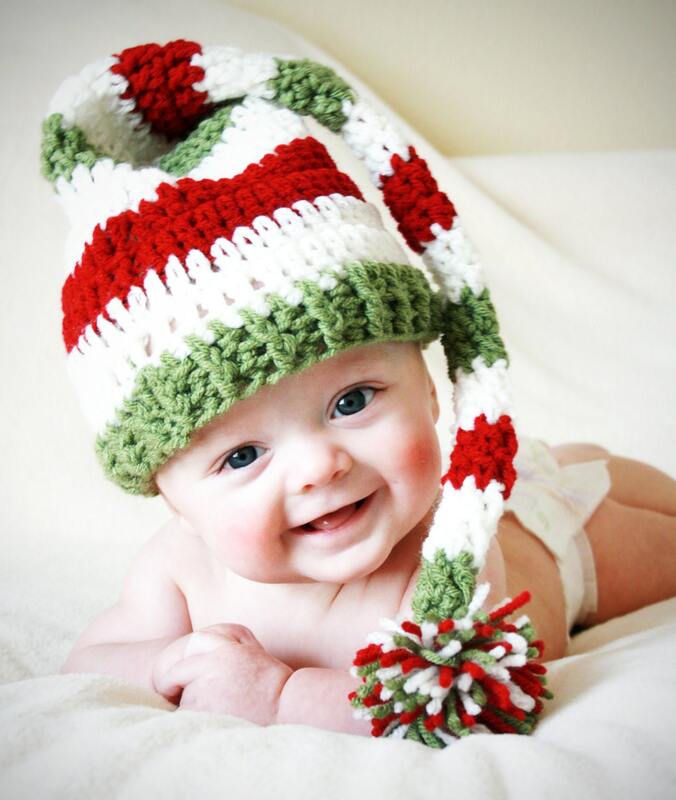 0 to 3 mos Length: 7"
3 to 6 mos Length: 8"
6 to 12 mos Length: 9"
12 to 18 mos Length: 10"
*These will fit newborns from ankle to hip, 3 to 6 mos from ankle to hip, 6 to 12 mos from ankle to mid/upper thigh, and 12 to 18 mos and toddlers from ankle to knee or lower/mid thigh. **If you do not see the colors you would like, hit that "Request Custom Order" button. I would be happy to make a custom hat for you. This set is my own design.